Viktor Blom. The man. The myth. The legend. In the history of online poker, I can only think of two or three players that have built up the kind of mystique that surrounds Viktor "Isildur1" Blom - Phil Ivey, Tom "durrrr" Dwan and Patrik Antonius. Blom has already won and lost millions of dollars playing online poker, despite the fact that he is only 28 years of age. 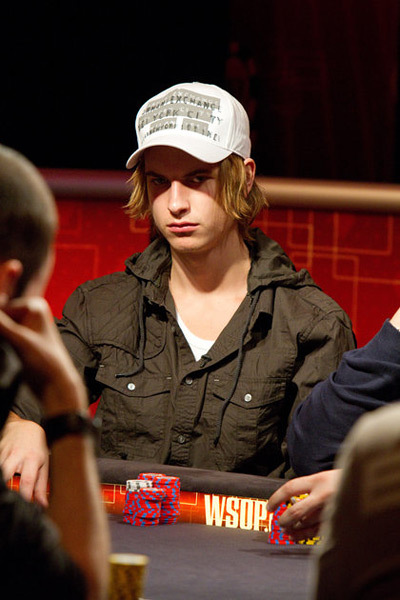 Before Viktor Blom made himself a celebrity in the poker world using his "Isildur1" account on Full Tilt Poker, he played as "Blom90" on the iPoker network. 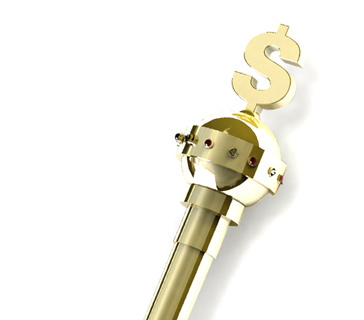 According to Blom himself, he "deposited $2,000 and within three weeks I had two million". He accomplished this by simply moving up rapidly in stakes until he was playing in the highest games on the network. After depositing the $2,000, Blom started out at the $3/$6 NLHE HU tables, only to find himself playing $100/$200 just a few short weeks later. 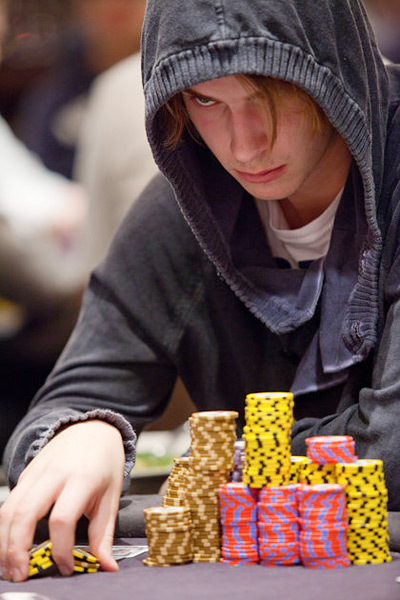 Viktor Blom found the game of poker when he was just 14 years old. He and his closest friends would play against each other in friendly home games, just as millions of other players would do at the height of the Chris Moneymaker "poker boom". Blom quickly discovered that he had a knack for the game. It also didn't take Blom long to come to the realization that his opponents had trouble dealing with his ultra-aggressive style, a style that would serve him well in later years. Blom continued to play and practice, and by the age of 18, was putting in 15 hour days playing $.50/$1 NLHE online. At the end of 2008, Blom's first big break came when he ran up $2,000 into millions in just a few weeks. A few short months later, Blom would be battling the likes of "durrrr" and Phil Ivey on Full Tilt Poker under his "Isildur1" account. Viktor "Isildur1" Blom really entered the spotlight in November of 2009 when he waged war against Tom "durrrr" Dwan. The results weren't pretty for Dwan - three weeks into November, "Isildur1" had made nearly $6 million on Full Tilt Poker, with most of these profits coming from Dwan's bankroll. "Isildur1" was nearly single-handedly responsible for Dwan's soul-crushing $8 million downswing in late 2009 (Dwan, to his credit, would eventually rebound). Dwan just couldn't seem to figure out the mysterious Swedish player, and soon seemed reluctant to play "Isildur1". No worries though, as Blom soon found willing new opponents in the form of Phil Ivey and Patrik Antonius. Blom was more than willing to take on the very best in the world. To go even further, Blom was so crazy that he would play multiple tables against both Ivey and Antonius at the same time. This would end up being Blom's downfall on Full Tilt Poker. On November 21st, 2009, Blom decided to engage in an ultra-high stakes war against Phil Ivey and Patrik Antonius - at the same time. 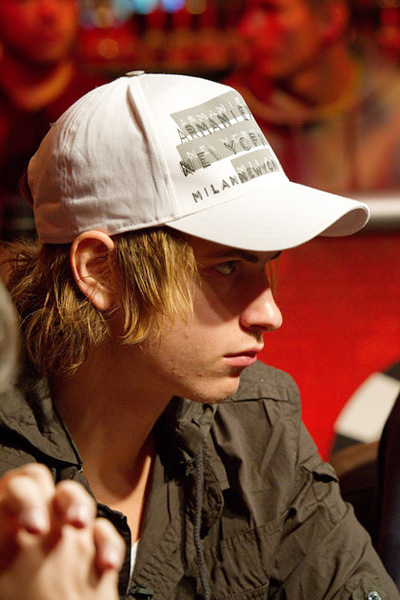 "Prior to the epic hand taking place, "Isildur1" had about $678k in his stack, while Antonius had about $1.26 million. The game was $500/$1000 Pot Limit Omaha. "Isildur1" had the button and raised to $3,000. Antonius stuck in a re-raise, and the two were soon involved in a pre-flop raising war. By the time that the two players saw a flop, there was already over $160k in the pot. Antonius led out with a bet of $91,000. "Isildur1" re-raised to $435,000, Antonius made it $779,000, and "Isildur1" called all-in. Ah-3s-Ks-Kh for a five-high straight, a pair of Kings and two back-door flush draws. 6d-9s-7d-8h for a wrap straight draw. The turn brought the 5h, moving Antonius even further ahead in the hand. The river brought the 9c, and Antonius was shipped the massive $1.35 million dollar pot with his five-high straight." "Isildur1" quickly fell apart, dropping his newfound riches to some of the very best in the world. The final dagger in Blom's epic 2009 run came on December 8th, 2009, when he dropped a ridiculous $4.2 million in ONE DAY to Brian Hastings. It soon came to light that Brian Townsend, Cole South and Brian Hastings had been discussing hands and strategies that might work against the mysterious Swedish phenom. It was also revealed that Brian Townsend had purchased a large set of hands involving "Isildur1" from an online tracking site, which is against the terms and conditions of Full Tilt Poker. This resulted in Townsend having his "red" pro status revoked on Full Tilt Poker for a period of one month. It was too late though - the damage had been done, and "Isildur1" had flamed out and seemingly busted his bankroll. "Isildur1", according to HighstakesDB, finished 2009 down over $2.2 million on Full Tilt Poker, despite having been up about $6 million just a few weeks earlier. In April of 2010, the identity of "Isildur1" was nearly revealed to the world. Tony G, who claimed to have personal contact with the man behind the "Isildur1" alias, had reportedly offered to fly "Isildur1" and three of his friends to London for the taping of the PartyPoker.com Big Game IV. In addition, Tony G had also offered to stake "Isildur1" in the cash game. "Sry for not coming, take care bud." There were multiple "Isildur1" sightings on Full Tilt Poker in 2010, but nothing occurred that was anything close to his epic rise and fall in the last few months of 2009. Many online railbirds desperately hoped that "Isildur1" would be able to build up another roll, but he just never seemed to be able to get things going. There were also rumors that "Isildur1" had moved to Pokerstars and was playing on the "grolongo" account. The playing styles of the two players seemed to match (ultra-aggressive, preference to play very deep stacks and multiple tables at once) - had Blom moved to Pokerstars? In late 2010, shock waves were felt throughout the poker world when Pokerstars announced that "Isildur1" had become the newest member of "Team Pokerstars Pro". Pokerstars wasted no time in capitalizing on the signing, announcing that "Isildur1" would be participating in a weekly "Superstar Showdown" on the site. The "Superstar Showdown" is a heads-up cash game battle spread over 4 tables (NLHE,PLO or a mix) at stakes of no less than $25/$50. The winner is the player who is ahead after a total of 2,500 hands. Early opponents have included Isaac "philivey2694" Haxton (Haxton won) and Tony G (Isildur1 won). At the time of the "Isildur1" signing, Pokerstars also announced that the identity of "Isildur1" would likely be revealed at the 2011 Pokerstars Caribbean Adventure. Fast forward to January of 2011. True to their word, Pokerstars "unveiled" "Isildur1" to the world at the PCA. Just as many people had thought, "Isildur1" was, in fact, Viktor Blom. 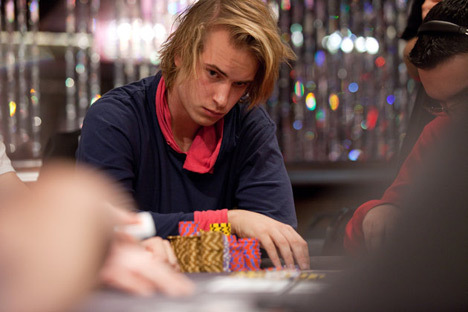 Pokerstars and Viktor Blom would part ways in late 2012. A few months later, Full Tilt Poker 2.0 announced that Blom would become one of their new sponsored players, along with Tom Dwan and Gus Hansen. Full Tilt Poker's "rebirth" wouldn't last very long as customers just weren't willing to re-embrace the tarnished brand. Full Tilt Poker would cut ties with its sponsored players, leaving Blom as a free agent once again. Blom has enjoyed a good deal of success in tournaments over the years, both in the live and online format. As of this moment, Blom has four major online titles to his name, including a win in the 2013 $10,300 SCOOP main event for $1,096,200.00. In total, Blom has won three SCOOP titles and 1 WCOOP title. Blom's other million dollar cash came when he took down the $100,000 Super High Roller event at the 2012 PCA for $1,254,400. Blom is rarely seen at live tournament events - there is no doubt in my mind that he would quickly ascend up the all-time money list if he decided to play more in live events.